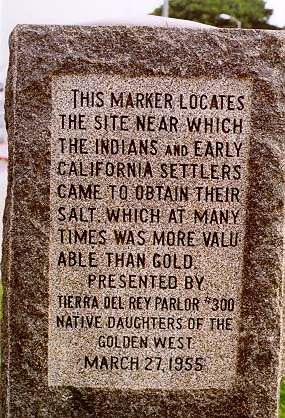 This marker locates the site near which the indians and early California settlers came to obtain their salt, which at many times was more valuable than gold. SE corner of Harbor Dr and Yacht Club Way, Redondo Beach. Return to other landmarks in Los Angeles county.